Wow, thanks Lewis – your article hits the nail on the head and I completely agree with everything mentioned. There is so much to explore, celebrate, share and cherish. It is definitely time to take back Heritage Day and celebrate what really matters. At ExoTravels we featured videos of The Apartheid Museum & The Voortrekker Monument on Heritage Day to encourage people to get out, explore and learn more about our country’s history. Heritage day and Braai day should be separated and none should be close to a day where the disgraceful Springbok Rugby team play the All Blacks . The All Blacks were not great. The Boks however were pathetic and their nervous breakdown coach should be dismissed immediately. Be that as it may SA is a loaded society where race politics seeps into every event and there fore it’s not a necessarily a bad thing to change a politically charged heritage day into a commercial Braai day. Big business can sometimes serreptitiously out what disgusting politics puts in. Now to be sure big business is also many times the enemy but only when mated with Government . All global warming is an outcome of this cabal. As with Braai Day big commercial businesses have the ability unlike political opposition to name and shame government . Everyone in SA walks into a Pick and Pay Spar or PEP store at least once a week and its in this apolitical environment that the battle for the hearts and minds of the av South African should be fought on all the heritage day issues . Why not get them to start with ad campaigns mated to their stores against SANPARKS and for rhinos ? If they can defeat heritage day then commercialization can maybe do what govt cannot do. Defeat rhino poaching and on the way tackle ( unlike the Boks that are apparently not paid to tackle ) defeat even global warming. 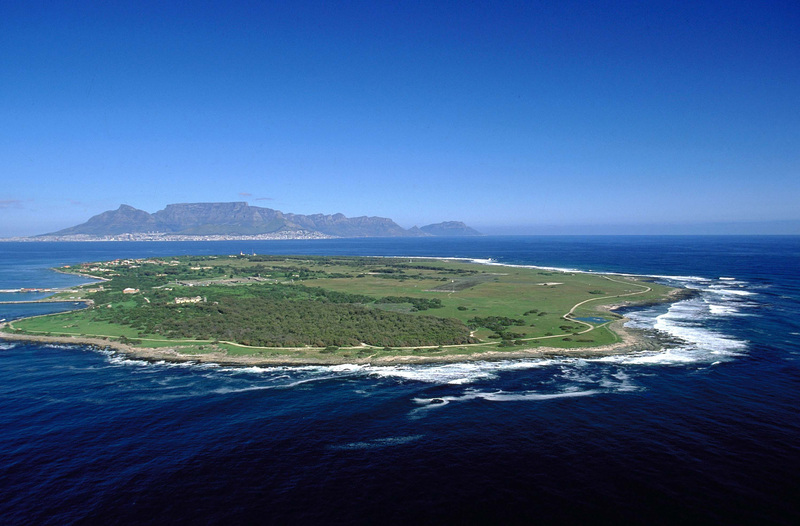 Love your pic of Robben Island. Putting together a website for a tour company. Would it be possible to use that photo. Would really appreciate your assistance. How can you love something you’ve never seen? If you don’t have a personal connection with something, why would you ever go out of your way to protect it, preserve it, pass it on to future generations? But isn’t that what ‘heritage’ is all about? Or is it about sausages? It started as a bit of a joke, referring to our annual Heritage Day as ‘National Braai Day’. And why not? I like a good joke as much as the next guy. And a good sausage. If you believe the old advertisement, we are a nation of braaivleis, rugby, sunny skies and branded cars. But we all know we’re about a lot more than that. When I think ‘heritage’ I think of two things: cultural heritage and natural heritage. These are the categories UNESCO recognises. They cover a wide range of things: masterpieces of human creative genius, works of outstanding universal importance, venerable cultural traditions, superlative natural phenomena, places of exceptional beauty, sites that showcase major events in the earth’s evolution, and habitats critical to conserving biological diversity, to name just a few. I’m not sure that the six-pack and the spiral-of-spiced-mince-in-a-casing of-hog-intestine fits in here. But I know we have an astonishing number of things in South Africa that do fulfill the UNESCO criteria. Start with our eight world heritage sites; between them they offer a two billion year old astro-crater, three million year old evidence of human evolution, the remains of 14th century palaces, an iconic symbol of our political struggle, a rare mountainous desert, a floral wonderland, an audaciously diverse wetland ecosystem, and peaks known to humble the most ardent mountaineers. Not to undervalue the cultural aspects of our heritage, but I’m going to concentrate on the natural side here, because that’s my personal passion. We are a Megadiverse country. Only 16 other nations are recognised by Conservation International as containing ‘Megadiversity’ – in other words, being particularly rich in species and the habitats that sustain them. Diversity is important in and of itself, but its not always spectacular. There are microorganisms, for example, that are crucial but invisible to the human eye. You’d have to be an expert or a rocket scientist to be inspired by those. Not everybody can love a fungus spore. In South Africa, we don’t have that problem. Our icons abound. We have Lion Kings in the north and King Penguins in the south. We have whales off the west coast, hippos on the east coast, and elephants in between. We have Great White Sharks. We have rhinos, in perilously dwindling numbers. Not only do we have more than 10% of the world’s plant species, we have an entire plant kingdom (fynbos) that is not only the smallest and most diverse in the world, but occurs nowhere else. We have some of the oldest fossils every discovered anywhere. I could go on and on. Heritage day should be a day to celebrate these. A day to visit our natural wonders and get to know them. To learn about them, interact with them, marvel at them. To come to appreciate them, so we can really care for them. We have so much to celebrate in South Africa. Our 19 national parks are some of the very best in the world. (Say ‘Kruger Park’ to anyone anywhere and they are instantly transported.) So why was SANParks so quiet on Heritage Day? You’d have thought our national park custodians would have owned the day. But there was not one original tweet by them. Of the two miserly tweets on the SANParks page on 24 September, one was mine. (The other was forwarded to them by someone outside the organisation.) Their Facebook page didn’t even have an update on Heritage Day! Presumably they were all too busy braaing. This is not just a critique on the social media of the custodians of our natural heritage. It’s an indication of how little is being done. And of a massive missed opportunity. Heritage Day should be one day in the year that every child gets to go to a national park. A day in which everyone who doesn’t have easy access to the wonders of our natural world gets in, and gets amazed. Because if our children have not been to National Parks, how can we expect them to care for rhinos, elephants, penguins and proteas?? On Heritage Day all National Parks should be free. All art galleries should be free. All museums should be free. And while we’re at it, transport to get to these should be free. Iziko Museums got it right. They offered free entry to all their museums for the week spanning Heritage Day, with a special programme of events on the day in the Cape Town Company’s Garden. I’m sure there were other initiatives in other cities that I don’t know about. But for the most part, Heritage Day was hijacked. In the media (social and otherwise) it was taken over by Jan Braai. It was branded by the big retailers, the beer brewers, the wood merchants. Like Christmas, Valentine’s Day and Easter, Heritage Day is being overrun by commercial interests. And those interests did such a good job of rebranding it with hot coals and sizzle, we forgot what the day is supposed to be about. I have no problem with a Braai Day per se. But I think when Heritage Day gets hijacked by National Braai Day, there’s something wrong. If we are going to protect our country’s environment, the people charged with doing so need to pull their socks up. This is my call for next year to be different. For a countrywide campaign to remind the citizens of South Africa about the precious natural resoures they have. For SANParks and National Museums, for aquariums and planetariums, for our many sites of national interest, cultural and natural, to make themselves accessible. So they can make us proud. If you want to combine that with a sausage on a hot grill, by all means. I can think of no better place to eat a boerie roll than under an ancient baobab. Or high on a mountain peak. Or exposed to an awesome ocean shore. They’re not called national treasures for nothing. It’s time to start paying them due respect. This article first appeared on dailymaverick.co.za on October 6th, 2013.